The Greater Chennai Corporation formally launched the much anticipated Chennai Cycle Share System in the city. The Chennai Cycle Share Project is a project under the Public Private Partnership System. Greater Chennai Corporation had invited tenders from vendors for operation under the Design Build Own and Operate model. M/S Smart Bike emerged as the lowest bidder. It must be mentioned that the company is already operating Cycle share in Hyderabad and Delhi. The app is available to download both on playstore & appstore. 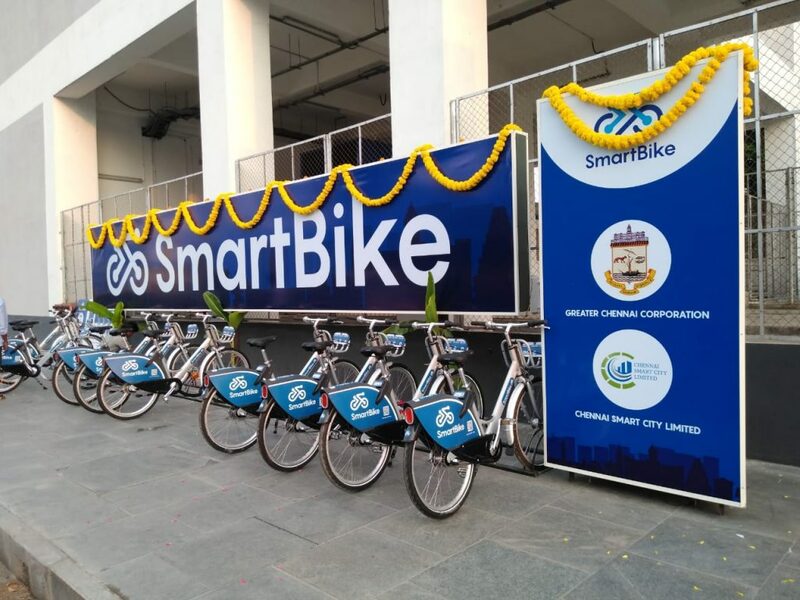 Greater Chennai Corporation along with Chennai Smart City limited had tendered out a Cycle Share system initially for 5000 cycles. The plan is aimed at improving the share of non motorised transport (NMT) in Chennai. It is to be noted that Chennai is the first city to have a NMT Policy that was adopted by the Corporation council when Mr Vikram Kapoor IAS was the Commissioner of Greater Chennai Corporation (GCC). The project is inline with 2023 vision document of Government of Tamil Nadu, which strongly advocates increasing NMT and Public Transport. GCC had earlier planned to tender out the Cycle Share system in 2013 when Mr Vijay Pingale was the Deputy Commissioner (Works) & Mr Vikram Kapur was the Commissioner. However the plan did not materialize due to various reasons. This time around the project is being floated as part of Smart City Mission by Chennai Smart City Limited via Greater Chennai Corporation headed by Dr Karthikeyan IAS. Chennai Smart City has also recently appointed Mr Raj Cherubal as the CEO for the various projects. According to civic officials, the cycle-sharing system in Chennai city would have 378 cycle parking locations and as many as 4,976 bicycles. As per tender norms, SmartBike would have to design, built, finance and operate (DBFO) basis for seven years. Many companies including global majors like Ofo, Mobike and various Indian cycle manufacturers have shown great interest in the project according to a person familiar with the project. Interest from global providers like Ofo Bikes reflects the large potential for Cycling in Chennai. 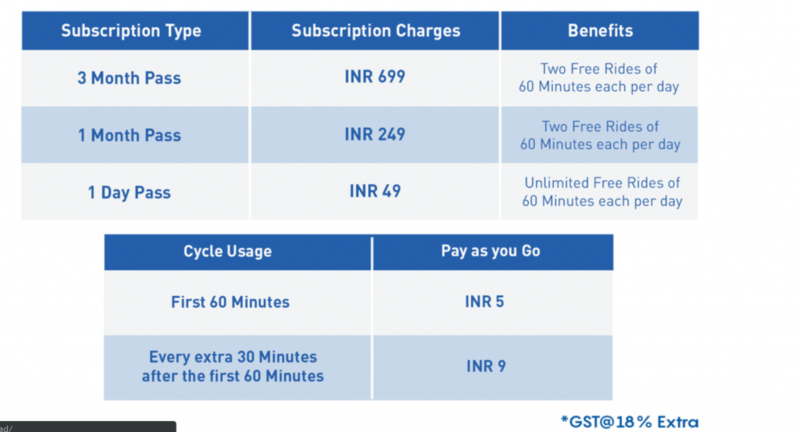 Based on the documents available in the Tamil Nadu tenders document, the Cycle Share will be fully owned and operated by the private party with restriction on the tariff that they will be allowed to charge the citizen. 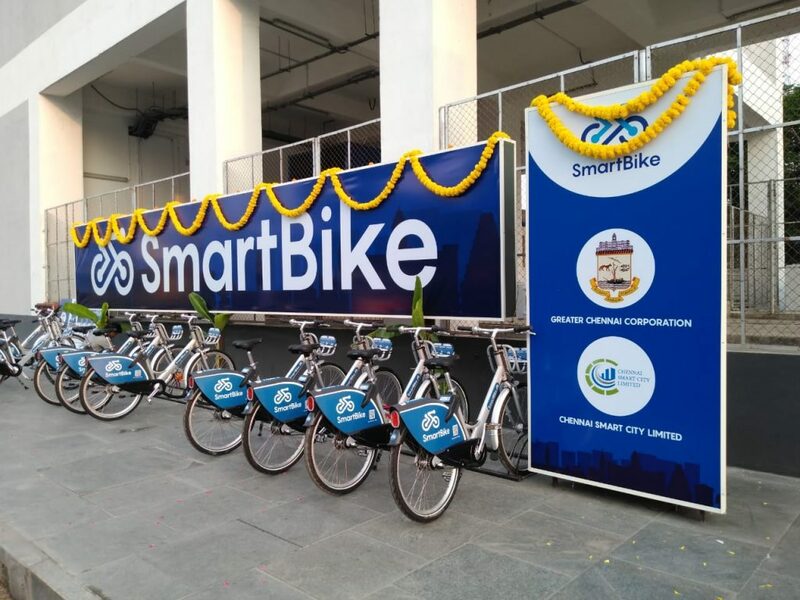 Greater Chennai Corporation & Chennai Smart City Limited will facilitate the cycle share system. The Commissioner has clearly indicated in various forums that the Cycle Share project is an attempt by GCC to make Chennai streets safer and sustainable. 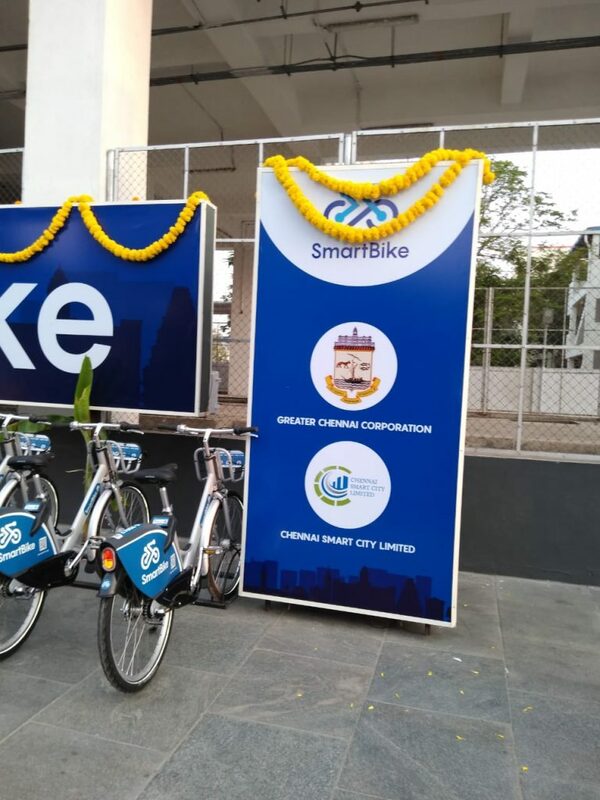 After multiple re-tenders, Greater Chennai Corporation along with Chennai Smart City Limited has awarded the Cycle Share system to Smart Bike. 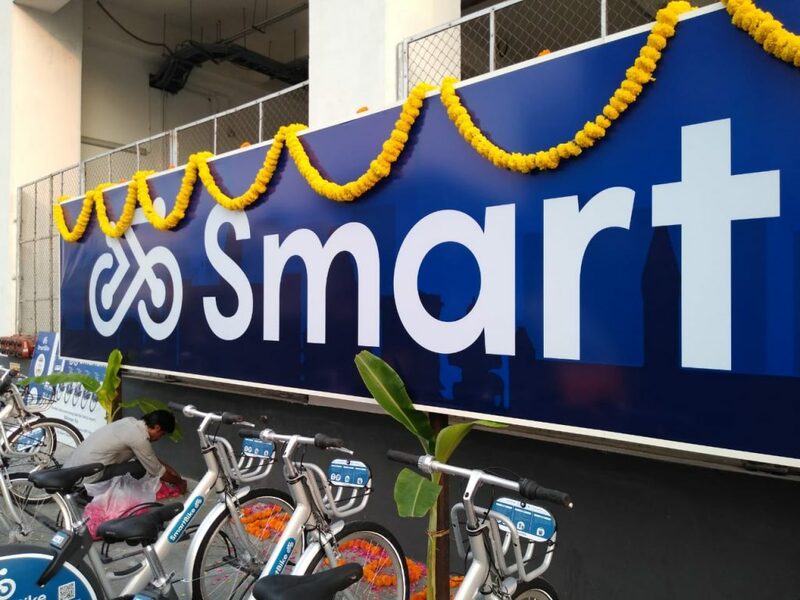 Smart Bike is a Hyderabad headquartered company. The company is expected to import cycles. The price is expected to be Rs 5 for first hour and Rs 5 for every additional 30 minutes. The cycle is expected to be equipped with GPS devices to enable tracking and also prevent vandalism and pilferage. Many agencies like ITDP, Price Water Cooper, C40 Cities, Chennai City Connect Foundation and Darashaw are advising Greater Chennai Corporation on Cycle Share project. Unlike many cities in India, a dockless model is envisaged in Chennai. A mobile app will help in locating the nearest available cycle. Strict penalty is levied on the provider for any defaults or leaving cycle unattended on side walks and causing any hindrance to the public. Chennai’s cycle share system is based on best practices followed in many cities worldwide. Newyork for example has 12000 cycle. Chinese cities like Beijing have about 80000 dockless cycles in the City. We convey our firm appreciation to Greater Chennai Corporation and Chennai Smart City Limited for this great initiative. This will surely put us on the NMT map of the world! Many cycling enthusiasts have expressed support for the Cycle Share system and have also suggested the need to improve the cycling infrastructure in the city. Chennai is considered the accident capital of India. According to Mr Vishu Venugopal Director of a private company who cycles on Old Mahabalipuram Road (OMR) frequently “The need is for a cultural change in the mind of Car drivers to allow cycle as a priority” further he added “Cyclist safety can make or break this project” and we couldn’t agree more. Greater Chennai Corporation has already painted cycle lanes in many parts of the city assuming that strict disciplined culture exists in the mind of other roads users. This has however not encourages enough cyclist in the core city areas. However one can see large number of cyclists on roads, especially on weekends in OMR and ECR. 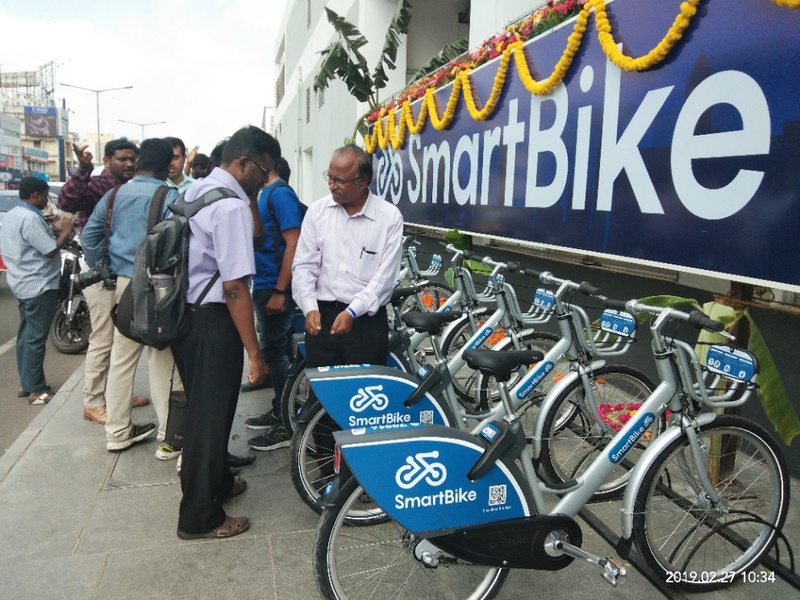 It must be mentioned that Chennai Metro Rail limited is already operating a limited Bike Sharing plan across many of its stations by hiring Athirup as their vendor.